This statistic shows the results of a survey conducted in the United States in February 2017. 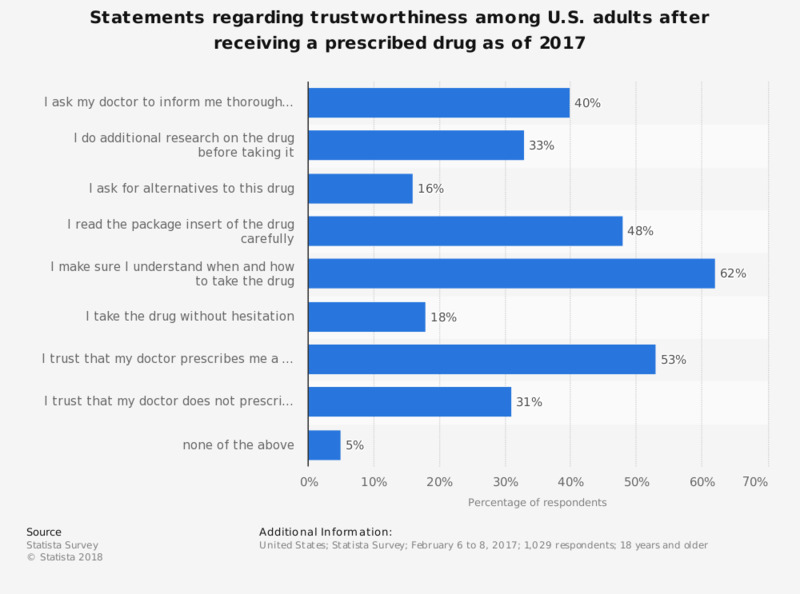 U.S. adults were asked which of the statements regarding their doctor's ability to prescribe and explain drugs correctly applied to them. In total, 18 percent of the participants took drugs prescribed to them without hesitation, while 33 percent do additional research on the drug they have been prescribed. Original question: "Which of these statements apply to you when receiving a prescription?"